NEW! Scrapbookers One-Sheet Wonders Vol. 6 and money-saving BUNDLE!! Back by popular demand, the newest collection of resources designed exclusively for scrapbooking is now available to order through Song of My Heart on Etsy! In the same simple, easy-to-use format that Cheat Sheets Collections users have come to know and love, Scrapbooker's One-Sheet Wonders Vol. 6 will delight those looking for real-life papercrafting solutions for ordinary, busy scrapbookers. These handy scrapbooker's helpers contain six different sketches all using just ONE sheet of patterned paper plus the 12x12 base pages. They come complete with measurements, step-by-step cutting instructions, and tips for assembly. I even include design hints to teach you why things look better placed in certain areas instead of others and what types of patterns will look best with those layouts. Unlike other inspiration to be found online, which tends to lead to lots of unproductive browsing and not much actual creating, Song of My Heart's Cheat Sheets are right there physically at your crafting table, with practical but pretty pages that ordinary, busy modern scrapbookers will enjoy and appreciate. Order the Instant Digital Download and you can start using them right away! Song of My Heart's new resource will make it FUN to scrapbook again! Quick and professional design assistance without breaking the bank. Click any link to go to my Etsy shop and snag your downloads! SAVE $10! Scrapbooker's One-Sheet Wonder Vols.1-3 Bundle! SAVE $10 Scrapbooker's One-Sheet Wonders Vols. 4-6 Bundle! Ready to create? Me, too! So grab a binder and get your downloadable files printed. We're going to be SO productive. Let's get those albums done so we can quit feeling guilty, shall we? Life's too short to let papercrafting become a guilt trip. Let Song of My Heart's easy new scrapbooking resources help you clear your desk and feel great about what you're doing to preserve your family's memories. NEW! Cheat Sheets Collection #11 available now! Have you heard about Song of My Heart's unique new "Cheat Sheets" Collections? These handy card-maker's helpers contain six different sketches ranging from super easy to moderately difficult, complete with measurements, step-by-step instructions, and alternate layouts. There's even design hints to teach you why things look better placed in certain areas instead of others and how to choose colors that will enhance and complement your work instead of compete with it. "real-life" papercrafters ... just like me. Cheat Sheets Collection #11 is ready to download today! Song of My Heart's exclusive "Cheat Sheets" make measurements a snap! Unlike other inspiration to be found online, which tends to lead to lots of unproductive browsing and not much actual creating, Cheat Sheets are right there physically at your crafting table, with practical but pretty projects that ordinary, busy modern papercrafters will enjoy and appreciate. Ready to revamp your crafting? Yeah, me too! Song of My Heart is making it affordable and FUN to stamp again. Get yourself a cute binder and start your "Cheat Sheets" library, because this is just the beginning of a long and beautiful friendship! You're going to love what you create--every time--with Cheat Sheets. NO MORE WAITING for snail mail...Check out the Instant Digital Download options in my new ETSY store! NEW to Cheat Sheets? Be sure to check out the Starter Collection (1-3) for special savings! You'll be getting 3 for the price of two! I'm so excited to announce that the newest collection of resources designed exclusively for scrapbooking is now available to order through Song of My Heart on Etsy! In the same simple, easy-to-use format that Cheat Sheets Collections users have come to know and love, Scrapbooker's One-Sheet Wonders Vol. 2 will delight those looking for real-life papercrafting solutions for ordinary, busy scrapbookers. "real-life" scrapbookers ... just like me. New to Song of My Heart's Cheat Sheets? Order the hard copy and they come via "snail mail," in heavy-duty non-glare page protectors, ready to go. Unlike other inspiration to be found online, which tends to lead to lots of unproductive browsing and not much actual creating, Cheat Sheets are right there physically at your crafting table, with practical but pretty pages that ordinary, busy modern scrapbookers will enjoy and appreciate. Order the NEW Instant Digital Download PDF files and they are available to print once for your own use, so you can start using them right away! NEW! Order straight from my Etsy shop! Did you miss Volume 1? Instant Digital Download or Hard Copy available. Scrapbookers, did you hear the big news? 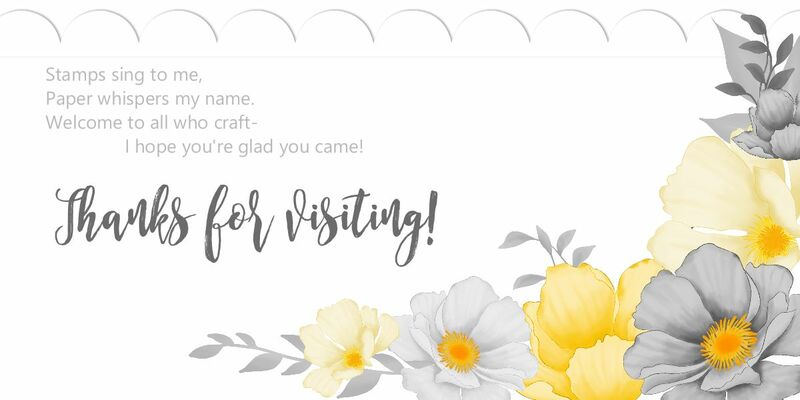 I'm so excited to announce that my very first collection of resources designed exclusively for scrapbooking are now available to order through Etsy! In the same simple, easy-to-use format that Cheat Sheets Collections users have come to know and love, Scrapbooker's One-Sheet Wonders Vol. 1 will delight those looking for real-life papercrafting solutions for ordinary, busy scrapbookers. New to Song of My Heart's Cheat Sheets? Order the hard copy and they come via "snail mail," in heavy-duty non-glare page protectors, ready to go. Unlike other inspiration to be found online, which tends to lead to lots of unproductive browsing and not much actual creating, Cheat Sheets are right there physically at your crafting table, with practical but pretty pages that ordinary, busy modern scrapbookers will enjoy and appreciate. Order the Instant Digital Download PDF files and they are available to print once for your own use, so you can start using them right away! Have you tried a Circle Swing Card yet? They're super easy, and made even simpler with my Cheat Sheets Collection #4. Click here to read about Cheat Sheets--what they are and why you need them--and try one today! I made this one with Blushing Bride and Watermelon Wonder cardstock, and the beautifully elegant Timeless Love stamp set. NEW! Cheat Sheets Collection #9 available now! Have you heard about my new "Cheat Sheets" Collections? These handy card-maker's helpers contain six different sketches ranging from super easy to moderately difficult, complete with measurements, step-by-step instructions, and alternate layouts. There's even design hints to teach you why things look better placed in certain areas instead of others and how to choose colors that will enhance and complement your work instead of compete with it. Song of My Heart's NEW exclusive "Cheat Sheets" make measurements a snap! They come via "snail mail," in non-glare page protectors, ready to go. Unlike other inspiration to be found online, which tends to lead to lots of unproductive browsing and not much actual creating, Cheat Sheets are right there physically at your crafting table, with practical but pretty projects that ordinary, busy modern papercrafters will enjoy and appreciate. Get yourself a cute binder and start your "Cheat Sheets" library, because this is just the beginning of a long and beautiful friendship! Quick and professional design assistance without breaking the bank! New to Cheat Sheets? SAVE $10.00 on your Starter Collection! Each individual Collection is $10. You will be sent a PayPal invoice and must pay through PayPal. Instant Digital Download options in my new ETSY store! New to Song of My Heart's Cheat Sheets? Unlike other inspiration to be found online, which tends to lead to lots of unproductive browsing and not much actual creating, Cheat Sheets are meant to be used right there physically at your crafting table, with practical but pretty pages that ordinary, busy modern scrapbookers will enjoy and appreciate. Order the Instant Digital Download PDF files and they are available to print once for your own use, so you can start using them right away!